Real-time strategy seems to be all about hundreds of actions per minute these days, if you can even find a strategy game that's not a clone of Clash of Clans or League of Legends or Army of Alliteration. 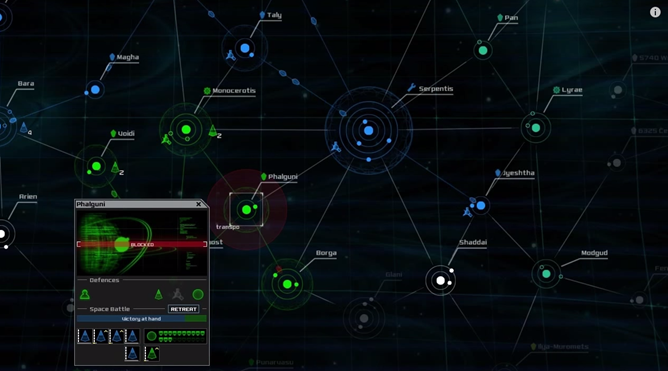 SPACECOM takes a different approach: it's a minimal sci-fi game where your captured star systems are just solar diagrams, your ships and fleets are a series of triangles, and there's a definite lack of guns or explosions. If you've ever played Wing Commander: Armada, SPACECOM plays out like a real-time version of the strategy portions of that game (minus the full 3D space battles, of course). You fancy yourself a pretty good tank commander, I'm sure. If you're a fan of the super-popular top-down MOBA genre (think Dota, League of Legends, and Heroes of the Storm), you'll want to sit up and take notice of a little game called Vainglory. This mobile interpretation of the well-known formula has been built from the ground up for touchscreens, and the experience has been praised on iOS since its launch back in November. It's available for free today on the Play Store. Vainglory doesn't make an attempt to hide its inspiration. 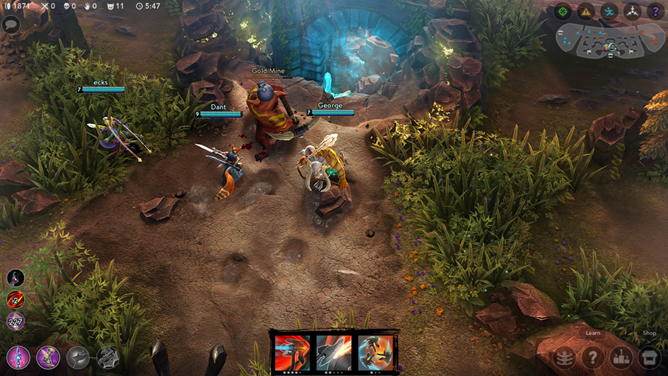 If you're not familiar with the standard MOBA formula, it's basically a shorter and more action-packed version of a real-time strategy game where each player controls a single unit. Welcome to the latest entry in our Bonus Round series, wherein we tell you all about the new Android games of the day that we couldn't get to during our regular news rounds. Consider this a quick update for the dedicated gamers who can't wait for our bi-weekly roundups, and don't want to wade through a whole day's worth of news just to get their pixelated fix. Today we've got a mobile take on Braid, a mix of hack-and-slash and tower defense, a firefighting strategy game, a unique tale of a game reporter, a minimalist physics game, and a Galaga reskin. Welcome to the latest entry in our Bonus Round series, wherein we tell you all about the new Android games of the day that we couldn't get to during our regular news rounds. Consider this a quick update for the dedicated gamers who can't wait for our bi-weekly roundups, and don't want to wade through a whole day's worth of news just to get their pixelated fix. Today we've got a unique head-smashing platformer, another Kairosoft management sim, a classic WWI dogfighter, a minimal lane-based strategy game, an interesting text-based interrogation title, a game where you eat people and smash paintings, and an anime-inspired badminton game. My word, but it's nice to see a game that uses classic mechanics without resorting to "retro" graphics. Tetrobot is a mixture of sliding block puzzles and platforming elements with a unique aesthetic. March doesn't have any new blockbuster titles for you to check out, but there are a lot of interesting indies in the following list. For speed and twitch freaks, we've got Fotonica, one of the most unique runner games I've ever come across. Fans of humorous adventure can check out a new take on Hamlet, and strategy gamers have an impressive but unfortunately single-player only option in Frozen Synapse. Investigate these and other favorites, along with some honorable mentions, below. Fotonica is one of the most unique runners we've seen in a long time. Alien Star Menace is a charming little tactical strategy game with a pixelated sci-fi theme. Dear readers: I have a confession to make. I completely forgot about our monthly best-of games series, because when the event came up on the calendar I was busy drooling over the new SHIELD set-top box and other Game Developers Conference-related stuff in San Francisco. Here, belated but hopefully still appreciated, are my picks for the top seven Android games of last month and a few honorable mentions. LIMBO is a platformer and puzzler favorite among the Steam and console download crowd. And it's creepy.